Being a member of the international Society means that you are part of a community of like-minded people worldwide, whose passion and interest in early photography and processes is shared in numerous ways. Your membership and involvement in this group forms the basis for long-lasting friendships and information sharing that is unique to the Society. This camaraderie is one of the chief benefits of being a member. The Daguerreian Society Quarterly is currently published four times a year and features hundreds of photographs and daguerreotypes, articles of interest, late-breaking news, research queries, and reviews of recent books and publications. Past issues are available again in a password-protected Membership area of this website. The Daguerreian Society Annual features approximately 250 pages of unique research by Society members, supported by scores of quality reproductions and historical reprints. In publication since 1990, these volumes have become a prime resource for daguerreian and early photographic study and appreciation. The Society keeps in touch with its membership all-year round with information on the Society and its members, plus more details about related photography events. It keeps members informed on important news relating to the Society and 19th-century photography. In the fall of every year the Society sponsors a five-day Conference, which includes presentations, round table discussions, a grand opening reception, banquet, auction and tours — all in the company of other people who enjoy early photography. The Society occasionally puts on educational programs--for example in 2016 a one-day symposium on "How Contemporary Art Photography is influenced and Impacted by 19th-century Photography and Processes." 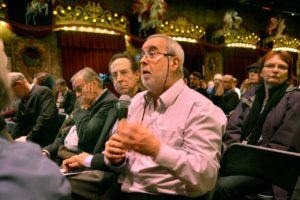 In the future the Society plans to hold some of its educational programs, including the Annual Conference, in Europe, as it did in Paris in 2013. Other smaller educational programs and tours are planned in addition to the annual Conference. Besides direct contact with our many members, there are several other ways that the Society helps members gain access to and purchase great early images for their collections. First, there is the 19th-Century Photography Show, which is held in conjunction with the Annual Conference. This fair gives you access to over 70 photography dealers with tens of thousands of 19th-century images on display. Members have free, early access to the show. Top international 19th-century photography dealers participate--and our members get to see it first. Second, there is the Society's Benefit Auction, which is held after the dinner banquet during the Conference. The catalogue of items to be auctioned can be accessed prior to the auction on this website. Phone and commission bids can be arranged for those not attending the Conference. Live and absentee Internet bidding is also available through liveauctioneers.com. The Membership directory is available on-line to members in a password-protected Membership area of this website. This searchable directory contains members' addresses, email addresses and phone numbers as well as a listing of member's interests/functions, and will be cross-indexed by state and country. It is a great resource for finding fellow curators, collectors and dealers. 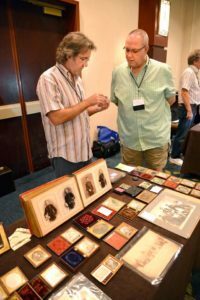 The Society is planning to develop special divisions and advisory councils in the future that will help address specific member needs, such as for modern antiquarian photographers, curators and international members. The Annual membership rates in the Society are $100 for U.S. and $150 for Non-U.S. voting members, although this rate varies by the type of members and benefits from a low of $50 for students (US and international) to higher financial levels of membership support and benefits. Going through the registration process will guide you to the most appropriate membership type and level for your personal situation. You will have the ability to choose the correct one for yourself well before paying. You have many options to pay, including most credit cards, PayPal and by electronic check. The Daguerreian Society is a tax-exempt, non-profit 501(c)3 organization. We would be happy to hear from you. Please feel free to contact us with your questions or if you need help.